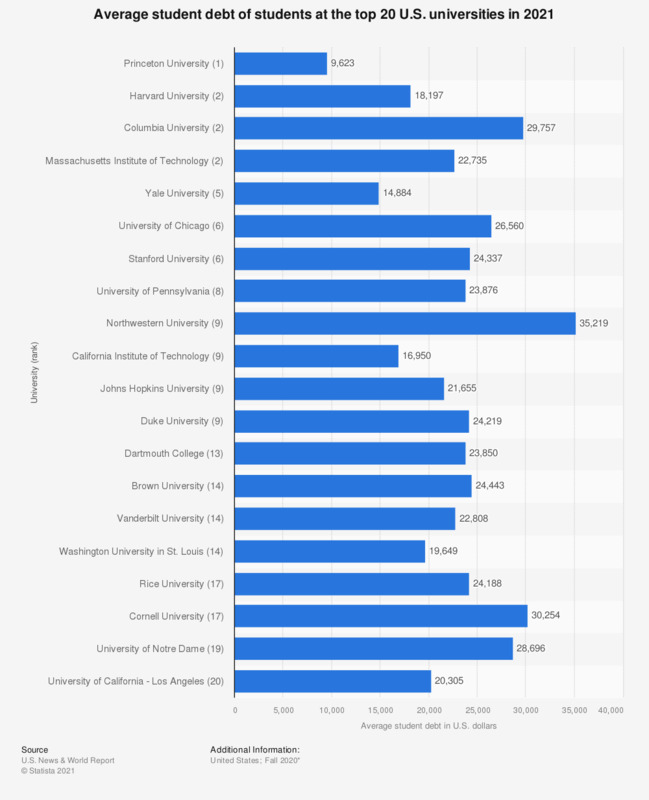 This statistic shows the average debt of students at the top 20 universities in the United States in the academic year 2018/19. In that year, the average student loan debt of graduates of Princeton University amounted to 9,005 U.S. dollars. The source does not mention a release date. The date of access was taken as the release date. The ranking of universities can be found here. Average total indebtedness taken from the 2017 graduating class. United States: Which of the following do you expect to do in regards to your finances in 2015?